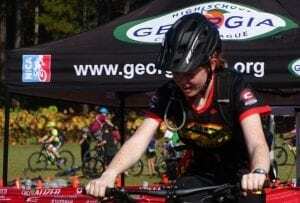 ELLIJAY, Ga. – Entering its second season as an official team, the Cartecay Youth Bike Team has already achieved greatness by producing a state champion in its inaugural season. Even though the actual race season runs through September, October, and November, the team is already preparing for early training and meetings. Involving parents of the students on the team is part of the process through the next three months of April, May, and June as Coach Larry Alonso prepares for practice season and eventually the races. Preparing the team in its first season, Alonso said he and his wife expected only a handful of members with their own children making at least half of the team. Today, Alonso celebrates 10 state finishers last season with Hannah Calabretta being a state champion in her first season of competition. Alonso points to his Mountain Bike Team and the sports as more youth development focused than competitive. Separating the competition from other sports, Alonso said the constant focus on self alleviates much of the back biting and negativity of many other sports. Additionally, Alonso commented on how competitive mountain biking builds on active lifestyles and growth through training like many other sports. Competitors must be fully sufficient on the course for any repairs and on-the-spot fixes needed as accepting outside help carries a penalty in the competition. Alonso said teaching these skills is so much more than just a sport. He teaches the mechanics of the bikes, skills for sufficiency, and the physical conditioning itself. Moving into his second season now, Alonso is beginning to build on his successes as he hopes to increase the size of his team, but also to increase the team’s connection and involvement in the county. The team appeared at the Board of Commissioner’s March meeting for Alonso to speak to the commissioners about the county’s trails system. Part of his presentation to the commissioners focused on the benefits his team and sport could provide for the county. 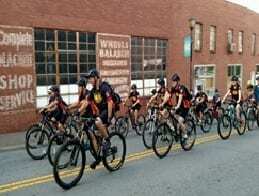 Alonso has already begun work on an “Ellijay Invitational” event to bring teams all over Georgia to Gilmer County as the Mountain Biking Capital of Georgia. Alonso admitted he has already hit a wall in the event for parking and access for the major crowds seeking to attend and view the event with family. Dreaming bigger, Coach Alonso noted ideas of partnerships for trails through or around local apple orchards and more adaptations for major competitions to point to Gilmer as the Mountain Biking Capital and hold events as such. These events, on average, see upwards of 800 racers and potentially 5,000 people attending the race. A major event like this also exposes people to the county for tourism in addition to the immediate economic in town. The growth continues across the state, according to Alonso, who stated, “There’s no better place for the state championship race than at the mountain biking capital.” Gilmer provides everything needed for the events with varying difficulties across the county, but an event like this could show the mountain views across harder trails to make it a peak destination for the sport. 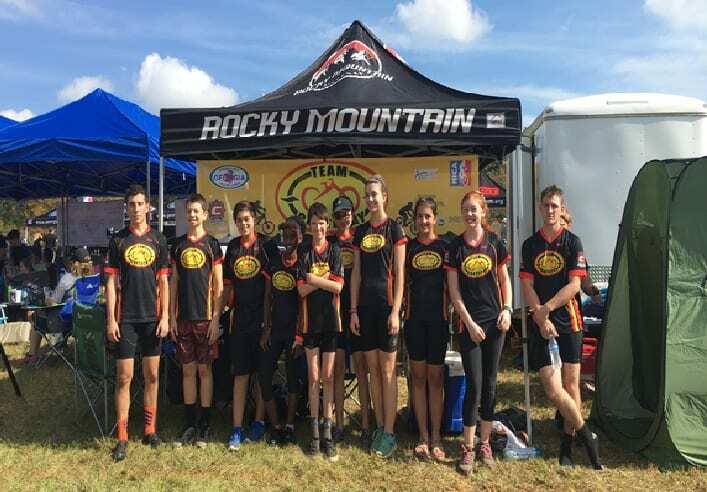 The races these students on Cartecay Youth Mountain Bike Team face changes across the minimum sixth-grade riders to do one lap around a five to six mile course and finish. Junior varsity riders do two or three laps to finish, and varsity hit four to five laps totaling around 20 miles before the race ends. 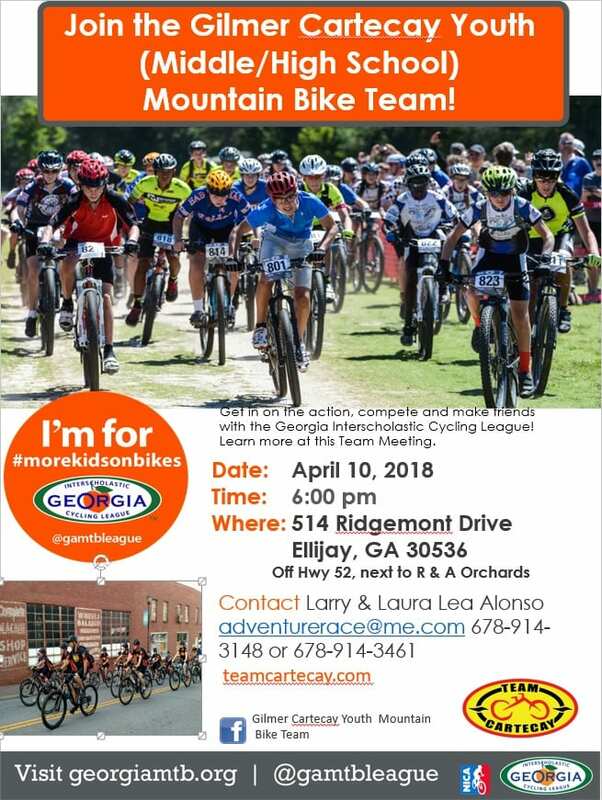 Cartecay continues building on its success and is inviting students and parents interested in the team to attend their team meeting on April 10. The event is one of six preseason events the team is allowed to hold before the end of June. « Previous Article Karla's Korner - Easter is Here!